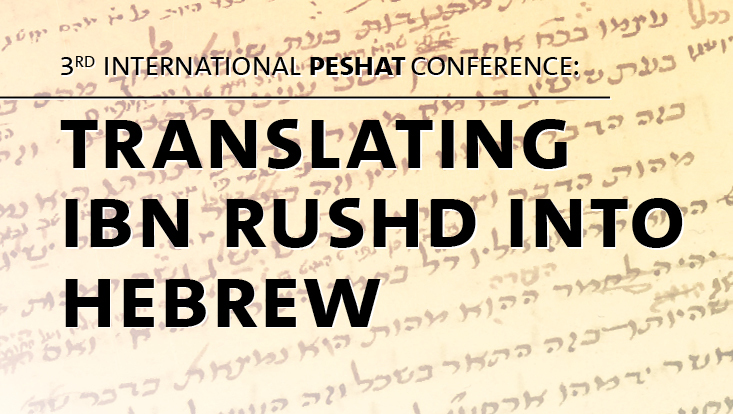 The conference “Translating Ibn Rushd into Hebrew” will focus on the question of how the Jewish translation movement of Averroean and Averroistic texts influenced the development of the Hebrew language. The conference “Translating Ibn Rushd into Hebrew” will focus on the question of how the Jewish translation movement of Averroean and Averroistic texts into Hebrew influenced the development of the Hebrew language as a vehicle for transmitting novel philosophical and scientific concepts and ideas to a new audience. Which where the new challenges Jewish authors and translators had to face and how did they tackle them? Did they create new technical terminology and style and if so, how do they relate to earlier translation techniques and/or those of more literary contemporary translators? Did substantial differences exist between different “Averroistic” authors and translators, and how did they interact? Special sessions will be dedicated to the projects and research tools connected to digital humanities and their contribution to the study of medieval (Jewish and non-Jewish) Averroistic texts.